On Monday, the Illinois Chapter of the Sierra Club and Friends of the Chicago River provided notice of their intent to sue the Chicago Trump International Hotel and Tower over its continuing violation of the Clean Water Act. 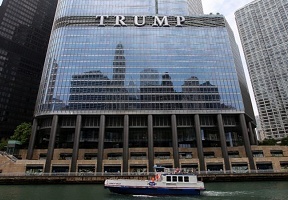 It appears that Trump Tower in Chicago has not fulfilled several legal requirements of the Clean Water Act over the past four years. These violations include Trump Tower’s ongoing illegal operation of a cooling water intake structure that siphons water from the Chicago River and likely traps and kills fish and other wildlife in this increasingly ecologically and recreationally vibrant waterway. Federal and state law and regulations require newly constructed facilities like the Trump Tower to study how to minimize damage to aquatic life from their water intake structures and to implement protective measures. The Clean Water Act allows citizens and citizen groups to sue those who violate the Act. 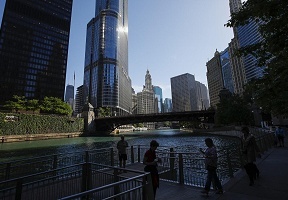 The Sierra Club and Friends of the Chicago River are taking action now because federal and state regulators have not pursued legal action against Trump Tower, despite a 2013 settlement with the Illinois Attorney General’s Office in which Trump Tower agreed to undertake the studies and to implement the protective measures required by federal and state law and regulations.